A magical way for aspiring guests to make their Disney vacation dreams a reality is Disney Vacation Account, a savings program that allows participants to plan and save for their dream Disney vacation. Disney Vacation Account provides easy to use online tools to help participants estimate the cost of their Disney vacation based on current prices (prices are subject to change) and manage a savings plan that is right for them and their budget. As excitement builds toward the Big Day, participants save at their own pace – a little at a time — toward the goal of their dream Disney trip, making contributions using their debit, credit or Disney gift card. There are no fees to create or maintain an account. There’s even the incentive of Disney Gift Cards. Open a Disney Vacation Account and use it to pay for a vacation before December 31, 2017 (date subject to extension) and you’ll be eligible for a $20 Disney Gift Card for every $1,000 spent on qualified Disney vacation purchases. Certain limitations apply. * Participants must request the cards 4-6 weeks in advance of their vacation to allow time for delivery to their mailing addresses. 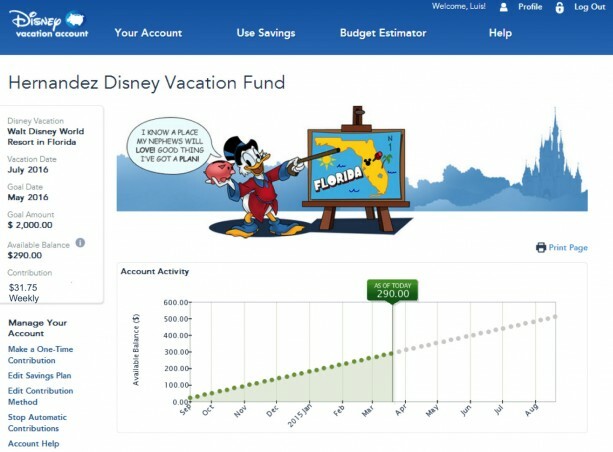 At any time, participants can manage their accounts by visiting DisneyVacationAccount.com and track their savings progress on their very own webpage. In order to create a Disney Vacation Account, you must be a resident of one of the 50 states, District of Columbia or Puerto Rico, and you must be at least the age of majority. Participants can set up automatic ongoing contributions every week, every other week or monthly or make one-time contributions from their debit or credit card. 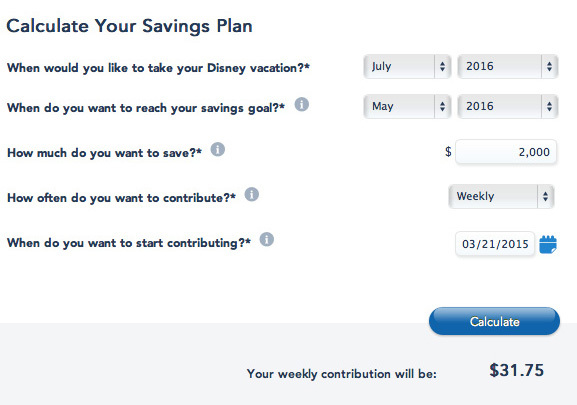 What savings they build may be used at any time to pay for a Disney vacation. Users can start the process as far as five years in advance of their vacation. The minimum savings to open an account is $10. 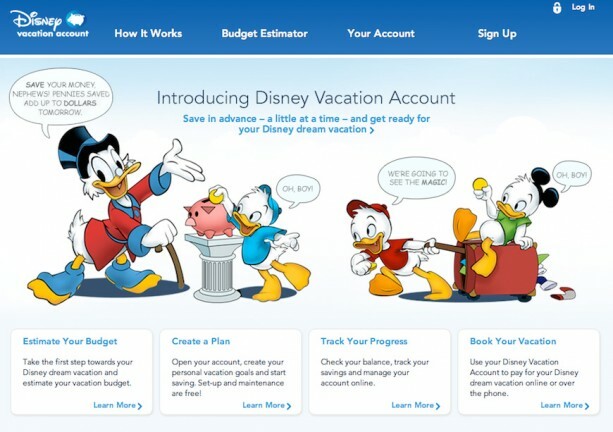 Disney Vacation Account may be used again and again, too. Once guests apply their savings towards their vacation, guests can use their account to begin planning their next Disney getaway and start saving toward it. Disney does not impose an expiration date on account savings and leftover or unused savings are completely refundable at any time. *Maximum of a total of $500 in Disney Gift Card(s) per household. Your Disney Vacation Account must be active for a minimum of 120 days at the time of spending in order to receive this bonus. Thinking About A Walt Disney World Vacation? Have you used a Disney Vacation Account? Was it helpful to you? Please leave a comment! My wife planned our Disney vacation and did everything separately on the internet. An account might have helped greatly.